Dry needing consists of inserting a thin filiform needle into the skin to stimulate trigger points, muscles, and connective tissue, and is used as an adjunct to exercise. Adding trigger point dry needling (TrP-DN) to an exercise program may be more effective than exercise alone for lowering costs associated with subacromial pain syndrome care, according to a randomized clinical trial published in Pain Medicine. In this study, patients with unilateral subacromial pain syndrome were assigned to follow an exercise-only regimen (n=25) or exercise plus TrP-DN (n=25). The exercise program consisted of twice-daily exercise, focusing on the rotator cuff musculature, for a total of 5 weeks. Dry needling was performed during the third and fourth sessions in patients assigned to the exercise plus TrP-DN group. Societal costs, costs associated with treatment, and participants’ health-related quality of life were evaluated over a 1-year follow-up period to determine incremental cost per quality-adjusted life-year ratios. Compared with patients receiving TrP-DN plus exercise, participants performing exercise only required a greater number of doctor visits and treatments (P <.001), as well as higher societal costs, largely resulting from absenteeism from paid labor (77%; P =.03). In addition, combining exercise with TrP-DN was less costly overall than exercise only (P =.003) and had a greater benefit on incremental quality-adjusted life-years (95% CI, 2.85-2.89). This study did not include a control group and therefore does not allow to determine whether the addition of TrP-DN to exercise provides superior benefit compared with no treatment. Also, patient data were obtained from a Spanish healthcare system, and the investigators suggest that the findings from this study may not generalize to patients residing in other geographic areas. 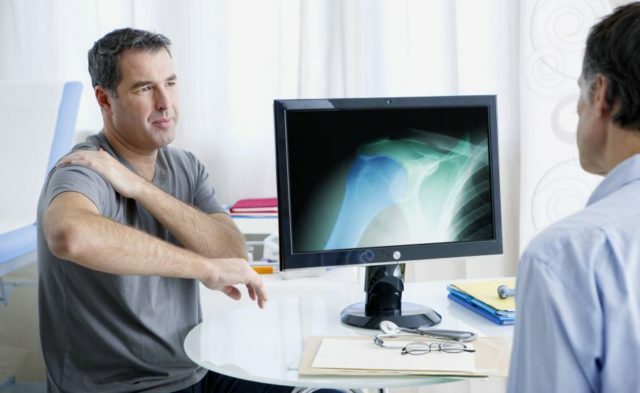 “Future studies should examine the cost-effectiveness of commonly used interventions for the management of shoulder pain, including TrP-DN combined with other interventions,” concluded the study authors.